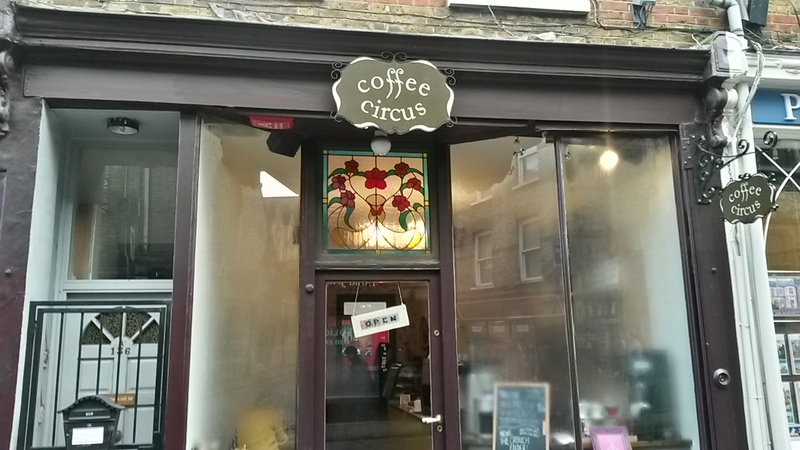 Coffee Circus started off life as a wagon in Camden Market and opened its first shop in Crouch End a few years ago. Since then, it has gone on to be one of the most popular cafes in a very crowded market place. It’s ‘circus’ theme is very much in the background (don’t expect staff dressed as clowns or creepy merry-go-round music playing). Offering a variety of blends and beans, the coffee comes first at Coffee Circus. The cappuccino is just the right size and a perfect mix of milk and coffee. For some purists, it might be a little heavy on the milk, but it’s just how I like it. The house blend, which is usually used, has a nice rounded flavour with hints of caramel. Add the biscuit that comes with it and you have coffee perfection. You can also choose coffees from Ethiopia, India, Peru, Kenya and Mexico. 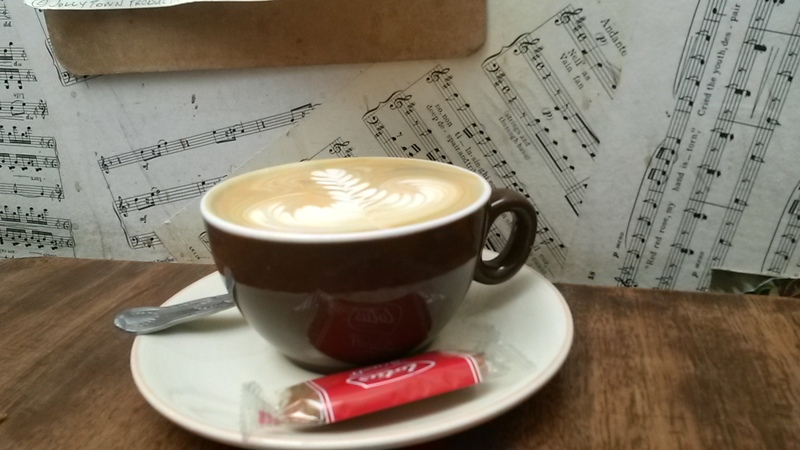 The cappuccino comes in at £2.50 – a fairly average price these days. Another small and bustling joint, it plays on its theme without letting it dominate. So there is musical wallpaper and hints of a circus here and there but you never feel like you’re been served a coffee in an actual circus. The music tends to vary depending on who is serving but most seem to have good taste and it is kept to a suitable background level. It has just the right amount of seating – split between singles, double and tables for four. There are even a couple of tables tucked in a little alcove at the back to hide away from the world. As a long drinker, I’ve never been ushered on. On the downside it’s often busy and sometimes you might struggle to find a table and it could probably do with some comfier chairs. But that’s just nit-picking – I’ve spent many an afternoon sat for some time writing, reading or chatting in Coffee Circus. Coffee Circus has a decent menu, mainly based around breakfast, salads and sandwiches. The breakfast menu includes croissants, boiled eggs and soldiers and its own granola. You can get eggs benedict, a variety of croquet madame muffins and lots of vegetarian sandwiches. There’s also baked goods to nibble with your coffee. I’d like to see more options for lunch but I feel their output is restricted by the size of the building. Perfect service here. There’s a number of regular baristas that all know their stuff about coffee. Ask them a question and you’ll get an intelligent answer. They are friendly but not overly so. If you go in on your own, they know that you probably want leaving alone but if you start a chat they’ll be happy to talk away. Sometimes, when it is very busy, it can be a little understaffed but you’re never left waiting too long. They do a good selection of local art inside and also sell their coffee by the bag. They’ll even grind it for you to the consistency you want. Music event are held occasionally. You feel they want to be part of the community. If it was only a little bigger then it would be the perfect café, but even so, it is still one of my favourites. Handy, friendly, excellent coffee and truly part of the Crouch End community. 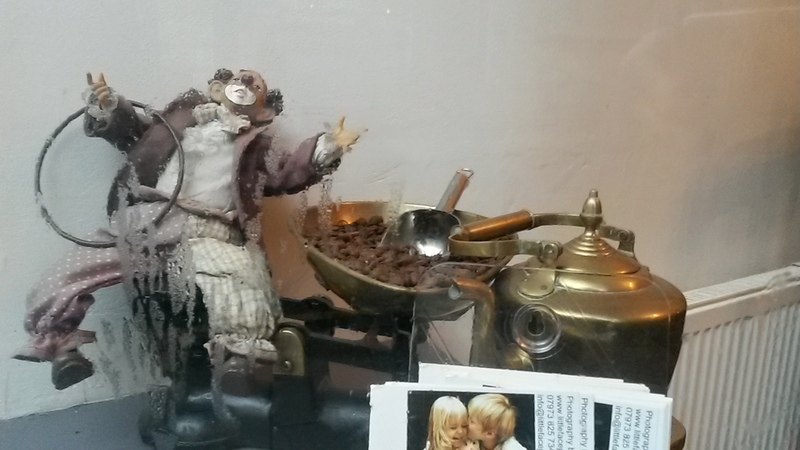 It also has a Grand Piano café in Camden Market – what’s not to love about that.